The SSL Live mixing console presents a truly superb user interface that can work the way you work today and introduces a collection of powerful new features that could change the way you work tomorrow. It has more sheer power and connectivity than anything else available at its price and, of course, as you would expect from any audio console that bears the SSL name, it sounds incredible. I've spent time on most of the digital audio consoles out there but the SSL Live is truly one of the most impressive desks I've had my hands on. The flexibility and power of this console is only surpassed by the amazing sound quality that SSL brings. We couldn't be more excited to help bring the legendary SSL quality to live sound. SSL has always set the audio performance benchmark for others to reach and sound quality is the primary design consideration of the SSL Live. Nothing is sacrificed so that the ultimate sonic performance can be delivered. 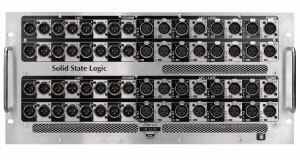 The Live local I/O and Stageboxes deliver SSL SuperAnalogue performance with better than industry standard studio grade mic pre's combined with 24bit/96kHz DAC's to deliver a frequency response that is within 0.05 dB from 20 Hz to 20 kHz (within1.3dB down to 10Hz) and a THD of 0.005%. 64-bit internal processing is used throughout, guaranteeing maximum precision to support the highest standards of audio performance within all processors. The processing power allocation and I/O architecture of the Live is extremely flexible. 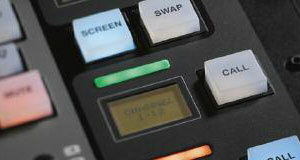 The console can have up to 976 physical inputs and outputs. There is a selection of local I/O and Stageboxes for remote I/O. 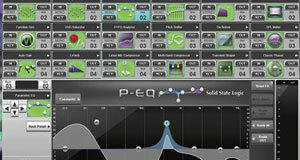 Effects have their own dedicated processing which is dynamically allocated. The rest of Live's power is also allocated according to configuration. There are 192 simultaneous mix paths at 96kHz. These can be assigned as Channels, Stem Groups, Auxes and Masters to suit demands and configured as mono, stereo or LCR with either full processing or dry as required. 144 of the mix paths are full processing paths and 48 mix paths are dry. A mono channel will use one path, a stereo two, and an LCR consumes three. Output routing to the PA system is handled by a discrete 32 x 36 Output Matrix which can be fed from Channels, Stem Groups, Auxes and Masters. Channels have their own dedicated processing power and can be full with complete processing or dry and consume less processing power. Full channels have hi and lo-pass filters, four-band parametric EQ which carries the legendary SSL tonal character (switchable between Legacy or constant Q), compressor with a new tube 'warmth' effect, expander/gate, delay, panning and all pass filter. There are two insert points. The Channel setup panel in the touch screen makes configuration and routing fast and intuitive. The SSL Live introduces a new type of signal path not found on other live consoles which they call the Stem Group. It functions in a similar way to a traditional subgroup, but is, in essence, a fully featured input channel without the mic/line input stage. It features all of the processing and routing functionality of a Channel. Unlike a traditional subgroup, full and dry Stem Groups can be routed to another Stem Group to create a highly flexible and easy to manage mixing environment. The key to a great control surface is a clear view of everything in your audio environment and finding exactly the control you need at your fingertips when you need it. With the Live, SSL's obsession with ergonomics and workflow has delivered an intelligent, elegant and comfortable layout. All of the most commonly used functions are carefully arranged so that they sit within reach where your hands naturally fall on the console. There is a wealth of visual feedback with carefully considered use of colour change technology that will not fatigue the user during long periods of operation. The Live control surface delivers a genuinely intuitive combination of gestural touch screen & hardware control and a whole collection of innovative features designed to streamline workflow. Touch screen technology is nothing new but SSL Live's main display is the first true multi-touch screen with tablet style control to be offered in a live sound console. It is also the brightest available and is able to deliver pin-sharp daylight viewable detail. 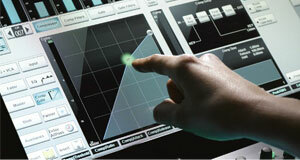 The beautifully designed graphical user interface provides comprehensive control of the entire console environment. It makes setting up channels with routing, Mute Groups, VCA's and Auxes intuitive and extremely quick. When it comes to assigning and editing EQ, Dynamics and Effects it has no rivals for clarity of information, ease of operation, and it's a lot more fun. 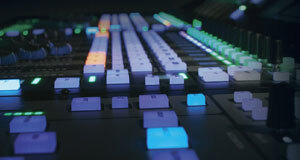 The visual cues the operator receives from a console are vital, and the Live uses color beautifully. 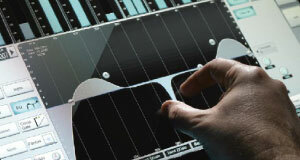 Within the fader strips a single large LED strip is used to identify and organize the type of signal path (VCA, Aux etc) or the instrument group (drums, vocals etc) assigned to the fader. The colors used are freely definable by the operator. 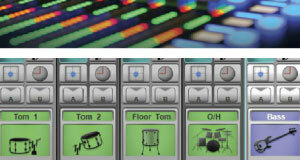 Controls designed for parameter editing (Aux send levels, EQ & Effect parameters etc) in the fader strips and in the Channel Control Tile also use color coding. What is selected in the touch screens and the various sets of edit control hardware always follow each other.In a console with banks and paging, speed of channel identification can make the difference between embarrassment and excellence. 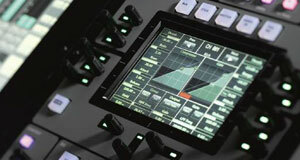 SSL's unique Eyeconix display enables bitmap images to be displayed with each channel greatly reducing the time taken to identify and access the desired controls. 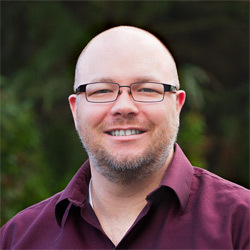 SSL has been implementing layer and bank-based channel layout and navigation for more than 20 years in their digital broadcast, music and post consoles. The Live system is elegant, flexible and delivers a highly customizable workspace that keeps even large scale projects organized and accessible. Each fader tile can display up to five scrollable layers. Each layer has up 5 vertical banks,with each bank having a dedicated call button (layers and banks are color coded and can have user text to identify them). Channels can be organised in any order any wherewithin this structure. The Live console features an internal effects rack that can be accessed via the insert points of Channels, Stems, Auxes and Masters as well as from the router. Designed to emulate a studio setup, the effects rack allows engineers to feel immediately comfortable creating complex effects routings with every parameter stored as part of the console automation. The Live features seven categories of studio quality, mono, stereo and multi-channel, ultra low latency effects designed specifically for live use. Reverbs, Delays, Modulation effects, EQ and even the famous SSL Stereo Bus Compressor are all included in a suite of 30 effects and tools. The effects rack has its own dedicated processing core with adaptive processing that intelligently reduces the overall processor overhead as you increase the effects load. Depending on the effect type, up to 96 effects can be used with each channel greatly reducing the time taken to identify and access the desired controls. 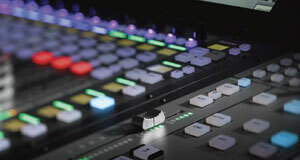 As you would expect from the company that first introduced console automation over 30 years ago, the Live features an automation system that benefits from our unrivalled studio and broadcast background. Store virtually unlimited automation scenes. Use the extensive filters to choose exactly what settings the console stores or recalls, not just on a global basis but also on a per scene basis. Scene groups enable editing of all selected scenes in a single operation. Scenes can be triggered manually or from external triggers. Scenes even include the Eyeconix images and display brightness settings. A fully scalable set of remote I/O units are available for the Live including analogue, AES/EBU digital and MADI devices. Interconnection between console and stage is via MADI. Remote gain control data is carried via MADI. For simpler systems standard coaxial MADI can be used to connect the console directly to analogue and/or digital AES/EBU Stageboxes. For higher channel count systems, SSL's proprietary Blacklight II high bandwidth multiplexed MADI is used to reduce the number of interconnecting cables. Blacklight II carries 256 @ 96kHz audio signals, equivalent to eight MADI connections, bi-directionally down a single multimode fiber. A MADI Concentrator box located at the stage is then used to distribute standard coaxial MADI to the analogue and AES/EBU Stageboxes, a second SSL Live console or other MADI devices. When two SSL Live consoles are connected to the same I/O, arbitrated gain sharing allows specification of which console has master gain control. All I/O stageboxes are fitted with dual redundant power supplies.